Mittoni: Ideazon Giving you "The Edge" in StarCraft II! Ideazon Giving you "The Edge" in StarCraft II! 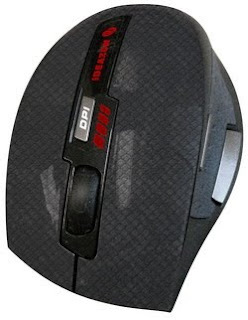 Looking for a fast gaming mouse solution for Starcraft II? Look no further than the Reaper Edge from Ideazon! With its 1ms response time, 3200DPI laser sensor, on the fly DPI changes, comfortable ergonomic design and fantastic price point - The Edge is the weapon of choice for any hardcorps virtual Marine! With reviewers commenting on The Edge's "cheaper price, comfortable design, and sufficient amount of features helps the Edge rank up with the big boys. With an MSRP of $69.99, and a street price below that in some places, the Edge is worth checking out" (Jeremy Atkinson - Extremetech.com) and "The mouse tracked well on multiple gaming surfaces I used the Reaper Edge on a cloth mouse pad, a Ratpadz and a Steelpad 4s. I gave the Reaper Edge a thorough workout pushing it during online rounds of COD4 and Crysis to some Photoshop work and web browsing. The Reaper Edge performed as expected, the feel was spot on for me as it comfortable to use and the shape fit my hand well.... Ideazon has put out a mouse to compete with the other big players and does so with style" (Dean Nottis - 3dxtreme.org), you'll never bring a knife to your next gun fight with the Reaper Edge! Bone Collection We Got Your iPhone 4 covered! Starcraft 2 Is your PC ready? Thermaltake M9 Sux Air Hard! Enter The Ninja USB. . . or DIE!